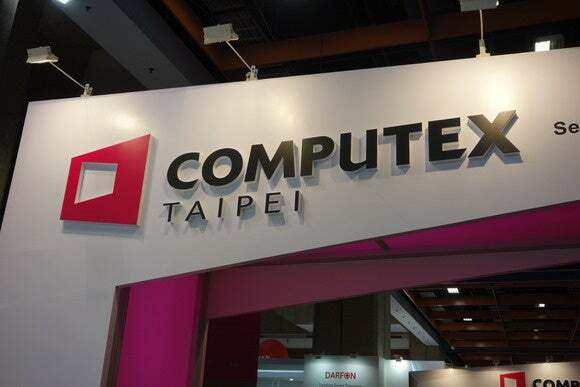 Taiwan held its 35th annual Computex trade show this week, and the event hasn’t aged well. There was little news to get excited about, the crowds were thinner, and there were no products on the show floor that generated the buzz seen in years past. To be sure, Computex has never had the glitz and glamor of CES, but for the PC industry it’s the big event of the year. Taiwanese companies make most of the world’s PCs—including those sold under more famous brands—and Computex has been a place where Intel and AMD launch new processors, and where competing memory and interface technologies battle for dominance. But few people these days wait with bated breath for news of the latest PCs. Smartphones and tablets are where it’s at, along with the apps and services that run on them. The iPhone’s incredible success sent Taiwan’s IT industry in search of a new identity, and it has yet to find one. This mid-life crisis was evident at the show this week. The island’s two biggest PC makers, Acer and Asus, talked more about cloud services and Android wearables than their main business of selling laptops. Intel and Microsoft still have a presence, but the show is less important for them than it once was. In fact, the biggest Windows 10 news of this week—the Windows 10 launch date—came out in a blog post days before Microsoft’s news conference in Taipei. The CEO’s of Intel and Microsoft were in Asia recently, but not to visit Computex. Instead, they traveled to Beijing a week before to appear at Lenovo’s inaugural TechWorld show, pausing for a selfie with Lenovo’s CEO. The emergence of China and South Korea as IT powerhouses has added to the pressure on Taiwan. Thanks to Samsung, South Korea is now a major producer of smartphones and chips. Acer founder Stan Shih even joked at Computex that Korea has become everyone’s enemy. Even manufacturing giant Foxconn, which makes many of the world’s PCs and smartphones, is talking less about computers these days. Instead, it’s been focused on robots, electric cars, and cloud services. For sure, new PCs are still on display at Computex, along with the “booth babes” that look so anachronistic to many foreign visitors. But if Computex is a barometer of where the Taiwan supply chain might go, the Internet of Things (IoT) seems to be the direction. Unfortunately, the IoT market is still in its infancy, and vendors here are unsure what role they can play. Taiwan’s ST&T Electric Corp. has been making smart appliances for a few years, but Victor Tsai, a manager with the company, conceded that the market is waiting for IoT standards to develop, and to see what kind of ecosystem for the smart home Google and Apple will build. It’s no longer about producing hardware. “Software is the future,” he said. Other Taiwanese vendors such as Acer and the chip vendor MediaTek were talking up IoT at the show. Both are building hardware and services that will allow them to partner with other vendors to build smart gadgets such as Internet-controlled kettles, or smart belts worn by the elderly to track their location. Research firm IDC expects the IoT market to reach $1.7 trillion, but not until 2020, up from $656 billion in 2014. But a lot of the IoT products displayed here this week could end up serving niche markets. One vendor showed a cat feeder with a built in video camera and facial recognition software, to ensure the right cat gets fed. Time will tell if IoT becomes a mainstay for Taiwan, or if it’s a passing fad.